By definition, custom ski brands will never be the next big thing. But handmade and boutique ski shops provide a personalized experience and aesthetic that more and more skiers want. A dozen or so big brands dominate the ski market — like Elan, Rossignol, Salomon, Blizzard, Atomic, and Völkl. And they make skis with every possible camber, core, stringer, and construction on an assembly line in a factory somewhere. Those same assembly lines build smaller ski brands like Black Diamond (Blizzard), Black Crows (Elan and Atomic), and Icelandic (Never Summer). There are more options than we can count, and all will let you have a great day on the slopes. But mass market skis can’t offer customization and a buying experience that matches your ski with your preferred style and terrain. 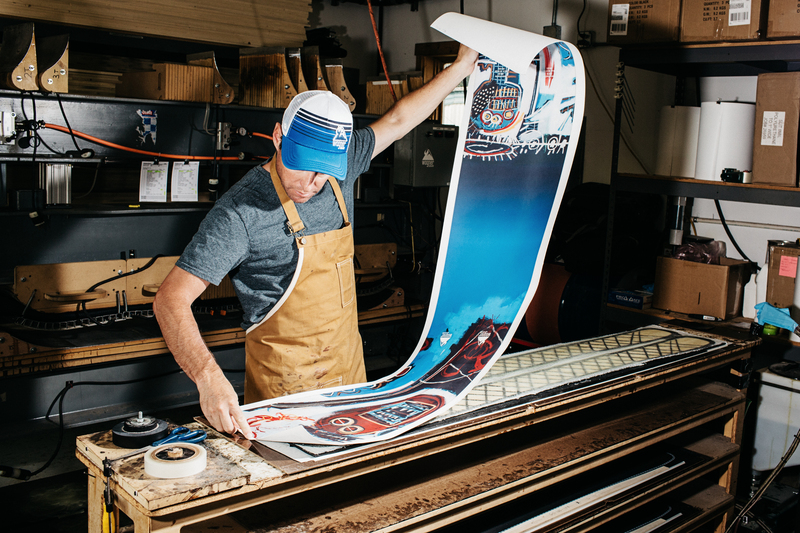 In an era of Etsy and farmers markets, craft beer and hand-shaped surfboards, skiers who value shopping local and the aesthetic and experience of something handmade can buy skis that align with those values. 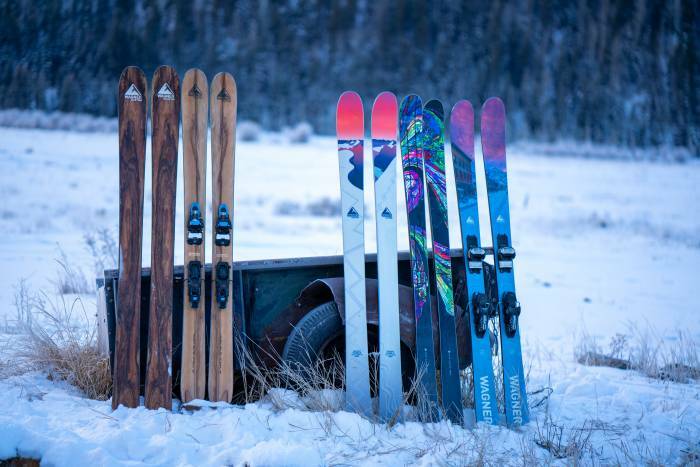 In the U.S., boutique skis are now making waves. Here are a few of our faves. Lars Whitman worked as a carpenter and then built guitars, but the call of the mountains was strong. So in 2012, Whitman, 44, combined his passions for skiing and building and started making skis, founding Silo in 2015. Silo specializes in one-on-one workshops where skiers come to build their own boards under Whitman’s watchful eye. Buy a 2.5-day private session, and you’ll leave with a pair of made-to-order-by-you-and-Whitman skis. Silo Skis are always custom; Whitman doesn’t do repeatable molds. And he only builds about 20 pairs each year. He sources his wood locally — Vermont maple and poplar come from a mill just down the road in Bristol, Vt. Most of Whitman’s customers show up with nothing more than high school shop class experience. “I show folks how to use the tools, and if they’re not comfortable, I do what needs to be done and they don’t have to,” says Whitman. The workshop runs $850, and it’ll cost you $750-800 for Whitman to build your skis without your help. 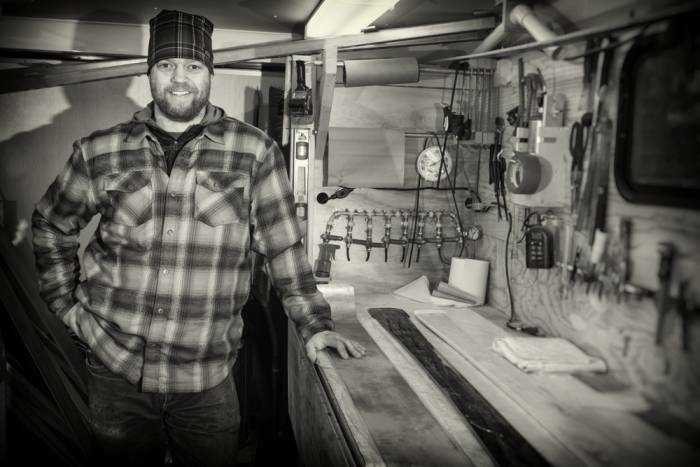 Pete Wagner put custom ski building on the map. 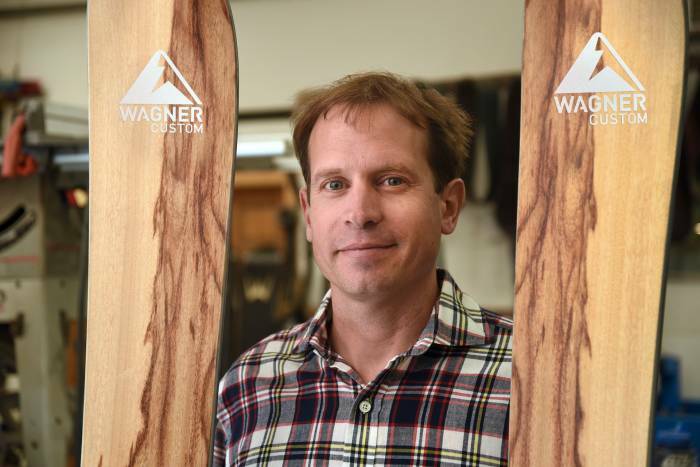 Now in his 13th year, Wagner and his team make Wagner Custom Skis slopeside in Telluride, Colorado. The shop is just steps away from the Gondola and Chair 4. “We’re about making skiing easier and more fun by dialing our customers into equipment that’s a perfect fit,” said Wagner. It doesn’t matter if you know nothing or a lot. Wagner’s team guides you through the process to design your perfect ski. Wagner’s scientific build relies on a tool he created to measure flex and other properties of skis on the market. Wagner’s library includes more than 1,000 makes and models, nearly every commercially produced ski from the past decade-plus. Wagner integrates the data into design software. Let’s say you tell the folks at Wagner you loved your 2013 Völkl Mantras, but you want something softer and livelier for bump runs and tree skiing. The data tells them exactly what you liked and how to improve on the design to meet your needs. 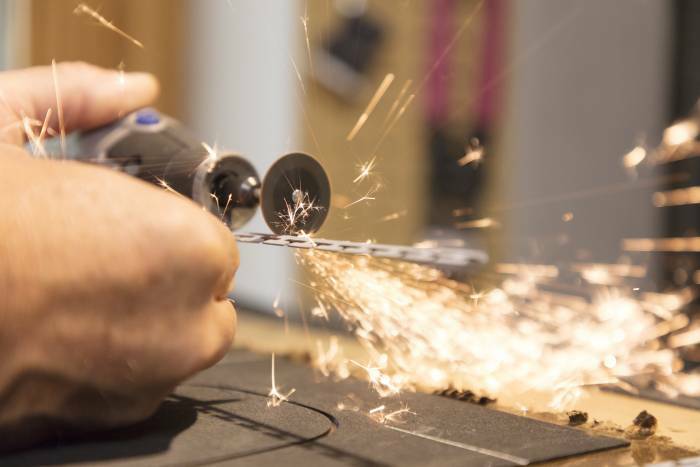 Whether or not you own Wagners, you can take a factory tour on a Tuesday or Thursday to become educated on ski building, meet the team, and see a demo of how Wagner does things. And even if you’re not a customer, Pete and his team want you to love skiing as much as possible. Tune into their Next Level Skiing podcast to learn from ski legends new and old. 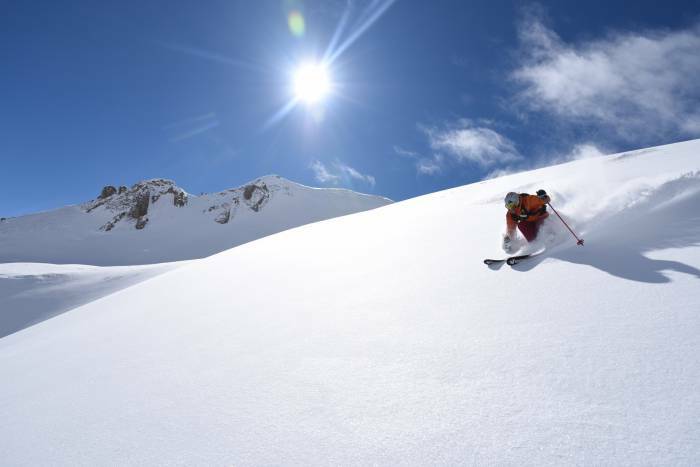 Guests include Angel Collinson, Chris Davenport, and Klaus Obermeyer, on topics from gaining a mental edge to longevity on your skis, ski travel, fitness, nutrition, and more. Wagner skis start at $1,750. 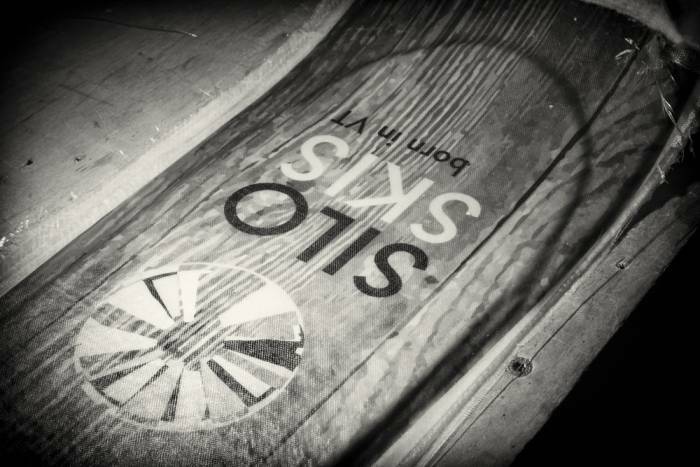 Founded in 2010, the world’s first “craft skiery” hand-builds planks in Denver. It offers customers who come to HQ a “full, immersive brand experience,” according to owner Ted Eynon. “People can have a beer or glass of wine, learn about the brand, talk to a ‘skitender,’ and watch skis being made through the massive glass windows behind the bar,” he said. 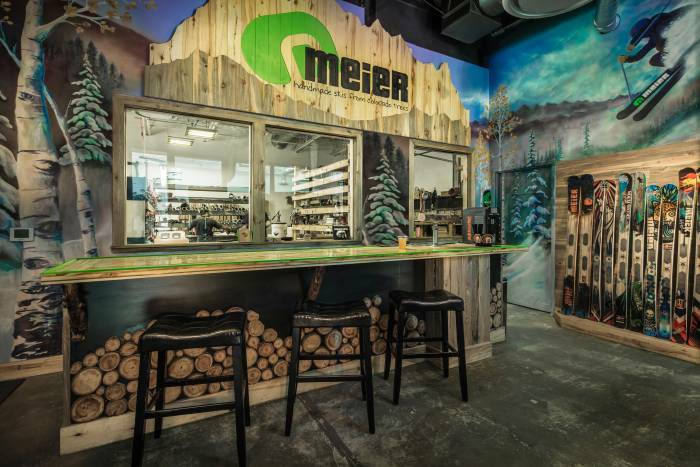 Meier hosts happy hour tours every day and invites customers and potential customers to the brand’s factory for concerts and events. 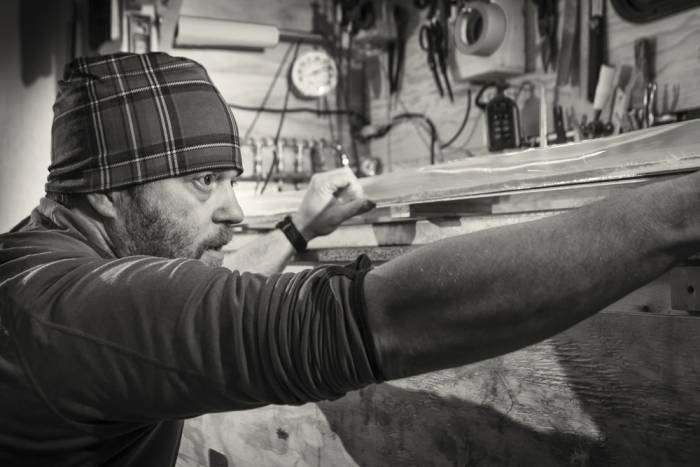 Meier’s skis are handbuilt but not exactly custom, with 17 models to choose from. For a surcharge, you can add a custom graphic. It uses Colorado beetle kill pine and aspen. A clear top sheet showcases the workmanship of each ski and saves on ink. Pine resin and vegetable oil epoxy seal it all together. And you can ski before you buy. Meier has a robust demo fleet available at the factory and at its retailer locations. Starting at $700. Named for the funeral parlor that was the brand’s first HQ, this semi-custom, hand-built ski brand offers a personalized purchasing experience. 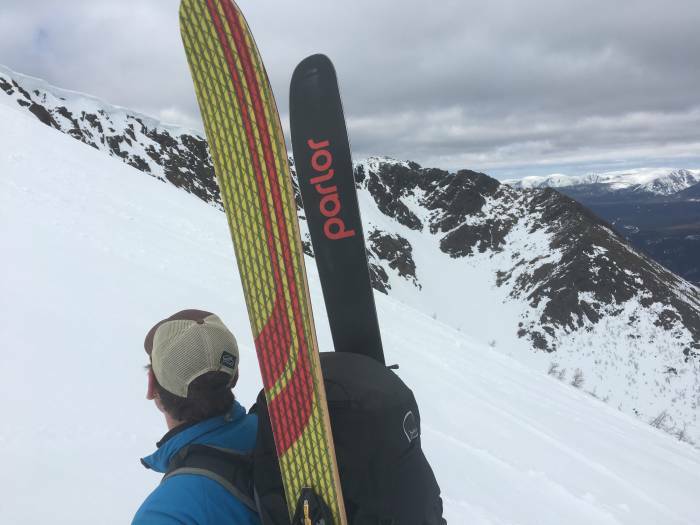 Wallace and his partners saw that New England skiers needed a race-style ski with an all-mountain feel for carving and holding an edge in East Coast hardpack (ice) as well as the variable backcountry conditions common in the East. But building great skis wasn’t enough. The brand saw an opportunity for a customized buying experience previously not available in the East. 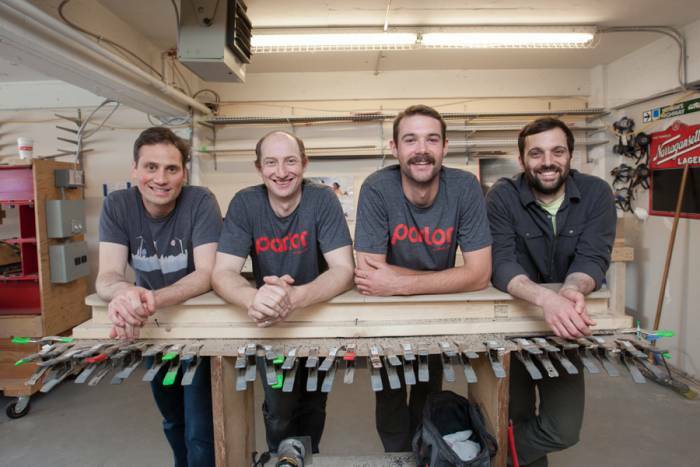 Like Wagner, Parlor builds skis on demand. But, more like Meier, it has a handful of models to tweak for stiffness and length. Like Silo, Parlor also offers customers the chance to DIY. Courses run April to August. In the four years since the program launched, 100 people have made the pilgrimage to Boston to build skis. But Parlor’s customers are mostly in the Northeast.